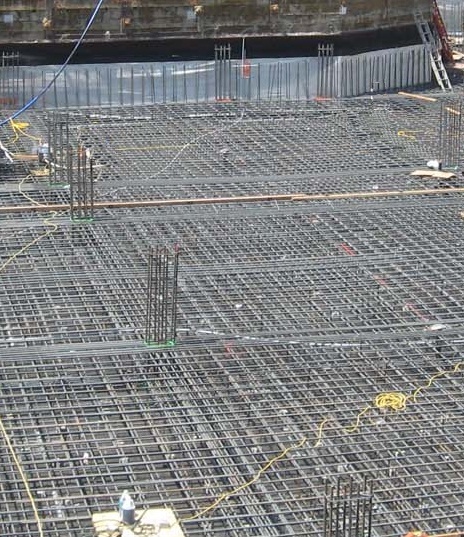 What are Time Dependent Considerations for Combined Footing and Mat Foundation? In this post we will discuss time dependent considerations for combined footing and mat foundations. In the previous post we have discussed the loads that should be considered in mat foundation analysis and design. Mat foundation and combined footings have sensitivity to subsurface response due to time dependent factors. a. Stage loading which consists principally of the dead load. b. Time dependent foundation settlement of smaller degree which includes mat resting on soft carbonate mass and sand. c. Time dependent foundation settlement due to consolidation settlements which include mat resting on low permeable fine grained soil like clay and silt or mixtures of silty clay. e. Shear displacement of soil. The five time dependent factors stated above can produce changes in moments and shear, that should consider in foundation analysis and design.